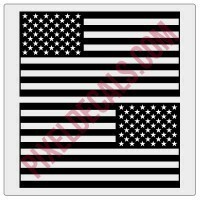 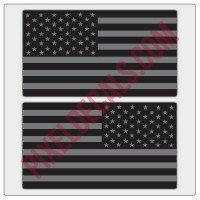 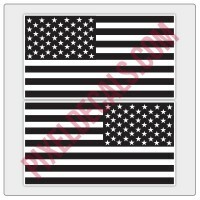 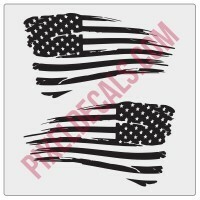 Military Style American Flag Decals - sold as a mirrored pair, one for each side of your rig. Displaying flags on vehicles can be viewed similarly to flags appearing on uniform arm patches. The important thing to remember that the star field must always face forward, or to the flag’s own right. 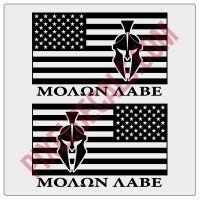 This rule also applies to flying a flag on a vehicle. 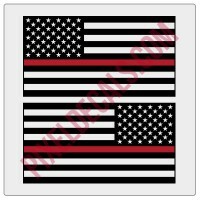 It’s also important to remember that a flag displayed at the front of the vehicle is viewed as the flag with the highest honor. Therefore, when displaying flags on vehicles in the United States, it is imperative to display the American flag at the front. Use the image to the left as a guide.